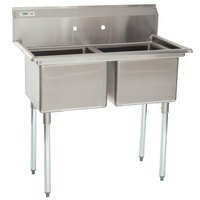 Wash dishes with ease when you use this 72" two compartment prep / pot sink with two drainboards! This 72" two compartment prep / pot sink with two drainboards from Regency Tables and Sinks is ideal for large establishments. 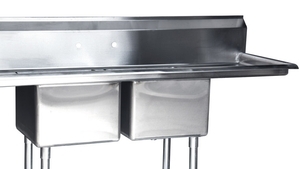 Use it for washing fruit and vegetables or preparing seafood like oysters and lobster. 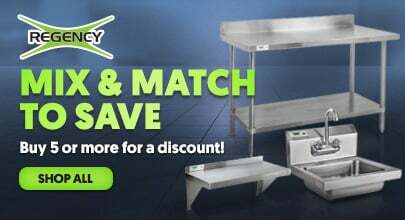 Its multipurpose functionality and durable design will go a long way in your commercial kitchen! 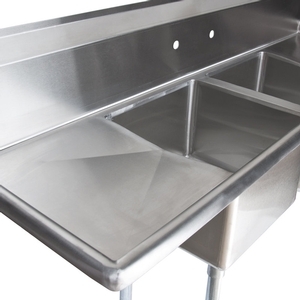 "This is a great sink, I bought it to rinse extra dishes for my restaurant because I already have a three compartment one, but another wouldn't fit. It is very useful and has the perfect bowl size. I love it." 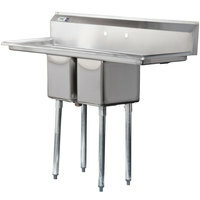 Two 17" x 17" x 12" sinks sit two inches apart to provide an abundance of work space for a variety of kitchen tasks. Two members of the staff are able to comfortably work simultaneously to fulfill kitchen duties like food prep and dishwashing. Plus, the continuous, high backsplash on the back of the compartments will limit the amount of liquids that escape the sinks. 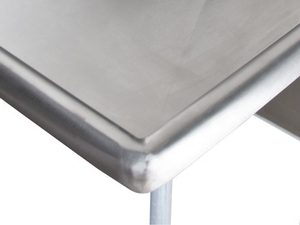 The two drainboards are ideal for housing delicate hand-washed items while they drip-dry or to store produce once you have thoroughly washed it one of the two sinks. Plus, their slanted design helps prevent water from pooling on the surface. 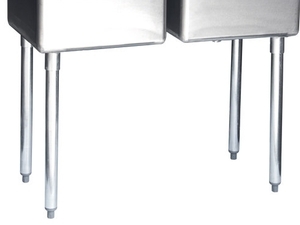 For proper drainage, a removable 3 1/2" IPS drain basket is included to eliminate the possibility of drain clogging. 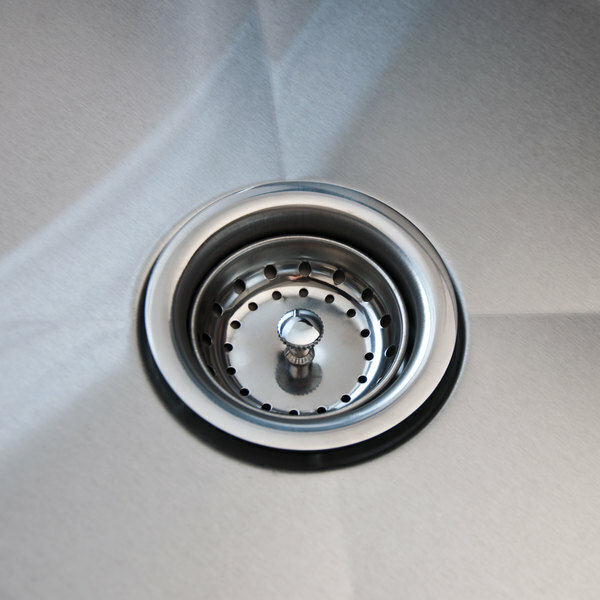 By regularly maintaining your drainage system, you will cut down on possible service and replacements costs. 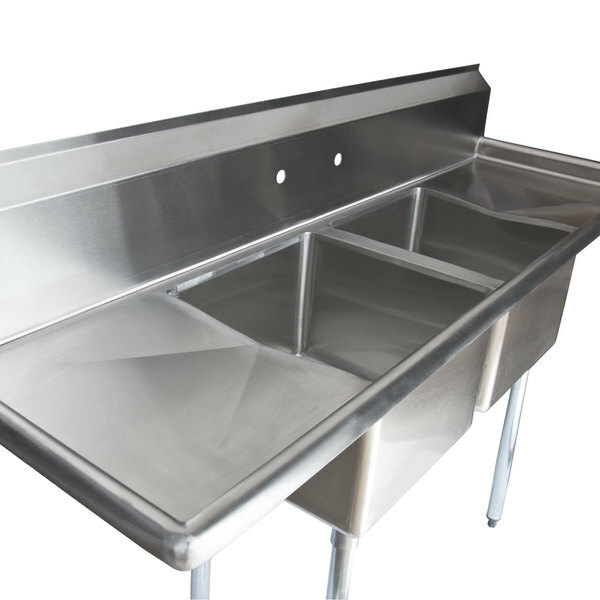 Comprised of high-quality 16-gauge type 304 stainless steel, this two compartment commercial sink guarantees reliability and durability. In addition, this material is corrosion resistant when properly maintained. 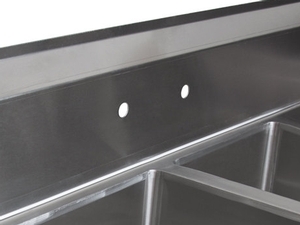 This sink was easy to install and is very easy to clean. 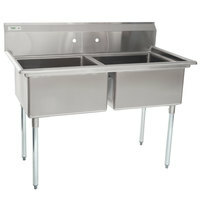 I use it as a prep sink and it has been a great addition to my bakery. The entire process of purchasing through delivery was painless. I highly recommend this sink. Amazed at how nicely this unit shipped. Out of the box, this sink was easy to put together. We upgraded to stainless legs & braces, which were a great idea & paired it with a regency wall mount faucet with 8" centers & 8" swing spout, as well as the adapter kit. Flawless daily operation after 2 months of heavy use. Great product that looks professional & is easy to keep clean. Fantastci value. This is a solid piece and is pretty much what i expected. It starts to rust easily if you leave debris on it, but it cleans up nicely. This was a great buy, we included the cross bracing for the legs. Note you will need to purchase separately adapters for against the wall water supply lines hook up, this is a specialty part which they sell. After that arrived, the install went very smoothly. Very Sturdy, we expect this to last many years. We give it a BEST BUY Rating! 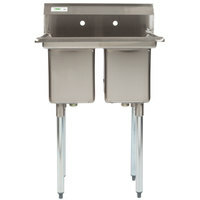 This sink is easy to clean, and it provides good protection against over-flowing in the event of someone running water to thaw meat for too long. 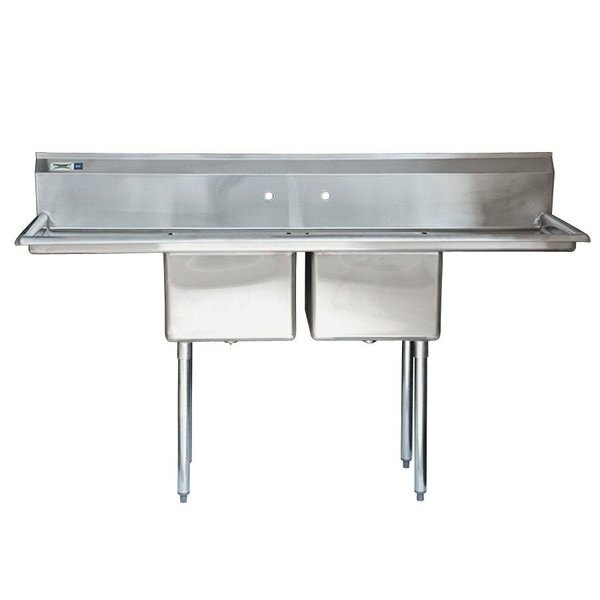 This is a great sink, I bought it to rinse extra dishes for my restaurant because I already have a three compartment one, but another wouldn't fit. It is very useful and has the perfect bowl size. I love it. 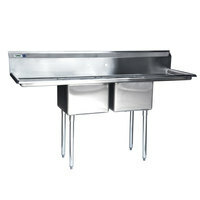 This is a great sink for defrosting any frozen products you have and it also has some wonderful drain boards! 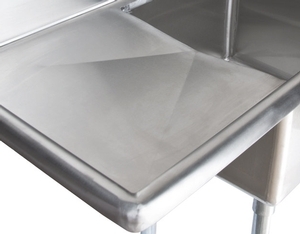 stainless steel is a beaut in the kitchen! This is a great sink for use as a veg sink. 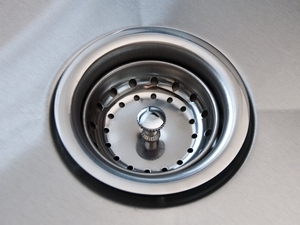 Two people can be washing their vegetables or fruits at the same time. It is very convenient.